Cosmetic dentistry has been one of the primary turning points in dentistry because this specialty has allowed modern dentists the ability to give their patients any smile they want. Naturally, most of us desire a smile that features straightened teeth, whitened teeth, and are free of imperfections. With that said, there are many dentists now that claim to be “cosmetic dentists”, but what the general public does not realize is that “cosmetic dentistry” is not an officially recognized specialty & that any dentist may legally refer to themselves as a cosmetic dentist. The key is being able to discern the subtle differences between a good and bad cosmetic dentist because the ability to achieve a high level of expertise requires extensive study, training & experience. What’s their reputation look like online? It is advised to read at least 6-8 reviews of their work online - & pay closer attention to the recent reviews rather than the old to get the best idea of what to expect. Knowing their reputation will give you comfort before you even walk through the door. People tend to place more emphasis on negative reviews than they should. If you see a negative review, I would encourage you to read the entire review to see what the main issue the patients brought to attention & then also read the dental practice’s response on how they remedied the situation. Most times, a negative review is the result of a billing error or staff mishap. Various dentists specialize in different areas of dentistry. Cosmetic dentistry is a broad term. Find out the areas for expertise your dentist specializes in to get a better understanding if they are a good fit for your unique case. Here at L.A. Smiles Dental Spa, Dr. Joshua Ghiam’s specialty is smile restoration, which involves the combination of crowns, veneers & dental implants to achieve a beautiful smile. 3. Are They Keeping Up with Technology & Trends? All of these advancements are offered here at L.A. Smiles Dental Spa. A dentist who works with a laboratory that follows specific protocol and keeps their equipment on the cutting edge will utilize high quality materials. 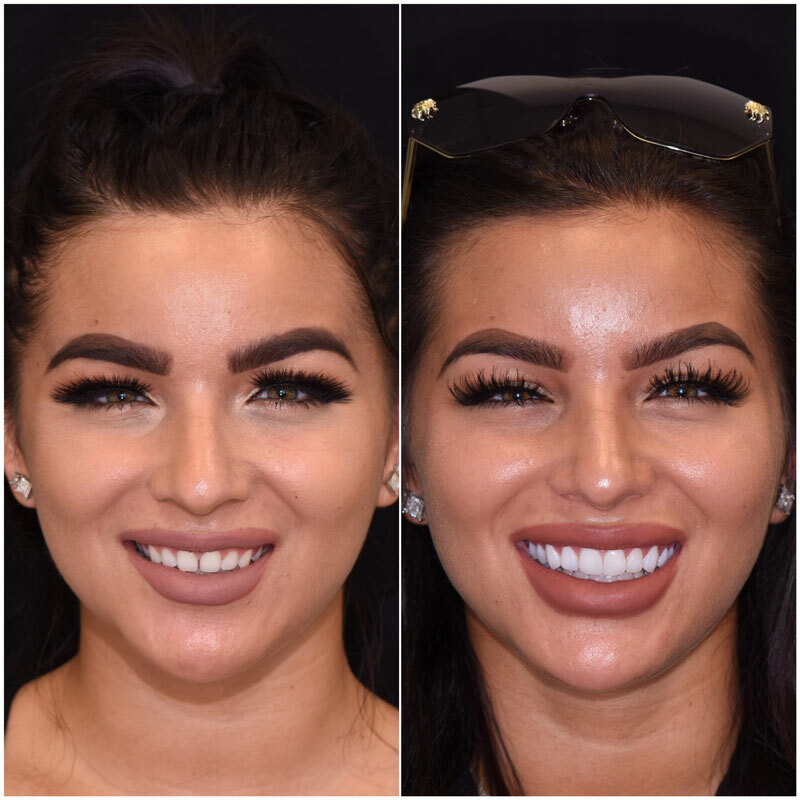 Before/after photos are there for a reason – to showcase the ability of the dentist’s work. If you are satisfied with what you see, then you may expect the same level of care & quality to be performed on your own teeth. If you cannot find before/after photos on their website, then you’ll have to schedule an appointment with the dentist to get a better feel for what they can help you achieve. Most importantly, meet with them in person for a 1-on-1 consultation. No matter what you read online, nothing will give you the best insight than by scheduling an appointment to address your concerns & needs.